Located at 26877 Tourney Road in Valencia, this new facility brings skilled surgical teams, specialty services, and urgent care to members of the community. Designed for comfort and convenience, Santa Clarita Medical Offices 2 are now open. 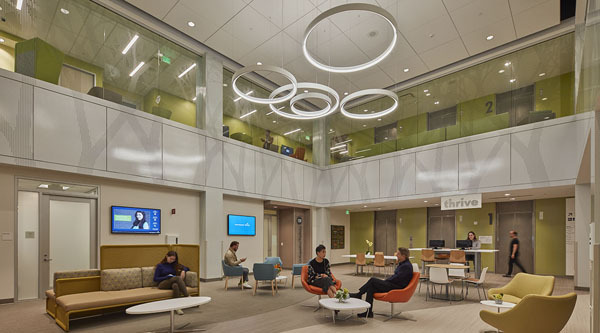 Kaiser Permanente’s existing locations in Santa Clarita will also continue to provide primary and specialty care after the new offices have opened. Important notice: Urgent Care in Santa Clarita has relocated to Santa Clarita Medical Offices 2, located at 26877 Tourney Road, is open Monday-Sunday, from 9 a.m. to 9 p.m. Laboratory, 8:45 a.m. to 9 p.m.
Pharmacy, 9 a.m. to 9 p.m.
Radiology/Diagnostic Imaging, 9 a.m. to 9 p.m.
Ultrasound, 9 a.m. to 5:30 p.m.
Click here for a full listing of departments and hours of operation at Santa Clarita Medical Offices 2. The new facility brings skilled surgical teams and specialty services closer to home for members of the Santa Clarita Community, offering a lab, pharmacy, and urgent care. Specialty Services listed below are by referral only. Santa Clarita Medical Offices 2 will be open to the public for wellness fairs, fitness classes*, cooking demonstrations, and many activities to benefit our community. Please see the events calendar for the schedule. Click here to see a fact sheet for Santa Clarita Medical Offices 2. See All Kaiser Permanente locations in the Panorama City area.